This January and February, a number of exciting events are happening in New York City, from a 20th anniversary revival of Edna Walsh’s groundbreaking “Disco Pigs” at the Irish Repertory Theater to a pop extravaganza presented by the Irish Arts Center, and more. 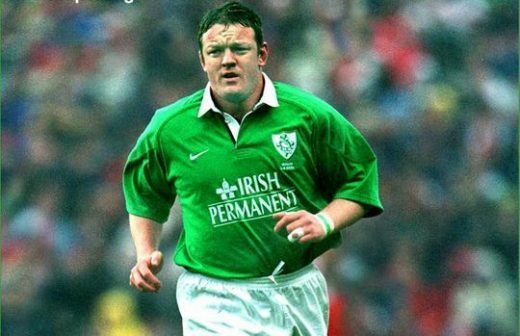 Tickets are available for a new production of Enda Walsh’s play Disco Pigs. John Haidar directs the 20th anniversary portrayal of Walsh’s work at the Irish Repertory Theatre. The play relates the close, quirky friendship of adolescents “Pig” and “Runt,” and the catastrophic events of the 17th birthday they share. Starring Evanna Lynch and Colin Campbell, the play serves as part of the theatre’s presentation at the 10th Annual Origin 1st Irish Theatre Festival. It has also been named as a New York Times Critics’ Pick. Tickets start at $24. Enda Walsh takes the director’s chair for the American debut of his one-act play Ballyturk. Stars Olwen Fouere, Mikel Murfi and Tadhg Murphy bring Walsh’s production to life onstage at St. Ann’s Warehouse in Brooklyn Bridge Park. 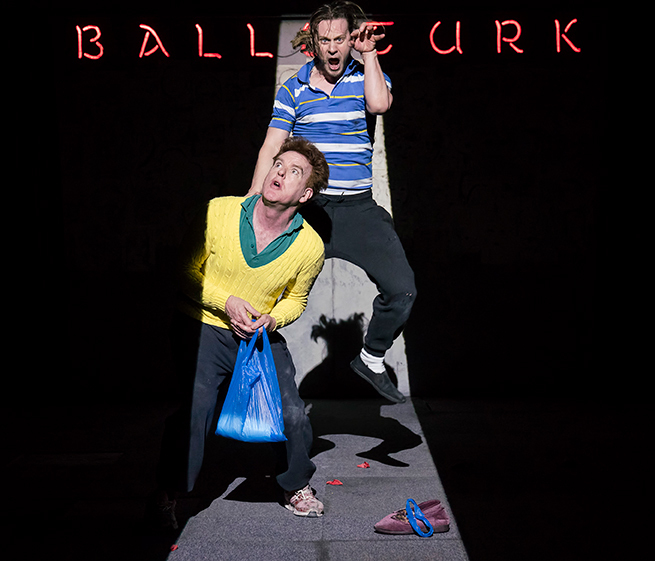 Called “willfully cryptic” and “stunning… beautiful… dazzling” by Time Out London, Ballyturk has received rave reviews via social media as well – one Twitter user characterized his experience as “standing ovationally mind-blowing.” The Irish Times Theatre even awarded the play “Best Production” in 2015. Tickets can be purchased for $35, with admission to special events such as the Inside Circle Dinner (January 16th) and Reception (18th) also available. Hayley Mills with director Amanda Bearse. Party Face, a new comedy by Irish writer Isobel Mahon, made it’s Off-Broadway debut as part of the 10th annual Origin 1st Irish Theatre Festival in New York in January, starring Hayley Mills, of Parent Trap and Pollyanna fame. 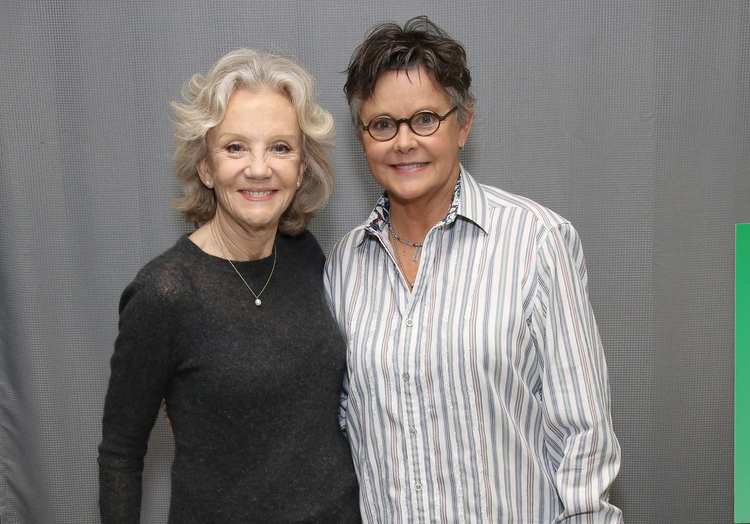 Directed by Amanda Bearse, the play is staged at the New York City Center and runs through April 8. It originally premiered in Ireland last year and had a sell-out national tour under the title Boom?. The story follows Mills’s character, a status-obsessed mother, who crashes her daughter’s party dinner party with her own food and a “suggestion” for her daughter’s new best friend. An all female play, Party Face also stars Klea Blackhurst, Gina Costigan, Brenda Meaney, and Allison Jean White. New York’s own celebration of Irish theatre is coming around for its tenth year in 2018. The Origin 1st Irish Festival presents for your appreciation the works of modern Irish playwrights, from both Ireland and America. This year’s line-up of shows includes Enda Walsh’s Disco Pigs, Derek Murphy’s Dyin’ For It, and Paul Meade’s FAITH, among several others. At the forefront of exhibitions is a gallery presentation on “Beckett and His World.” The festival’s venues are numerous and accessible, including the American Irish Historical Society and Symphony Space. As the only festival in the world to highlight the contributions of Irish playwrights to the genre, this celebration provides a fantastic opportunity of which any New Yorker interested in theatre would be lucky to take advantage. The Hope Foundation is hosting a benefit at the end of this month, offering entertainment, refreshments and great prizes at auction! The event is being held in the American Irish Historic Society building, on 5th Avenue in Manhattan, and Irish country star Riah Butler will be performing. Speakers include the Hope Foundation’s CEO Maureen Forrest, and legendary rugby player Mick Galwey. Two of the amazing prizes up for grabs are an NYC meet-and-greet with Academy-Award-winner Jeremy Irons, and a pendant worn by Hollywood icon Marilyn Monroe. All proceeds earned at the event will support the humanitarian work that the Hope Foundation is doing in Calcutta. “A Taste of Hope” promises to be a night of fun and entertainment as well as charity, with each donor providing a chance at a future for a child in need in Calcutta. In this discussion sponsored by NYU, Dr. Diner will explore the interactions between Irish and Jewish immigrants in America. 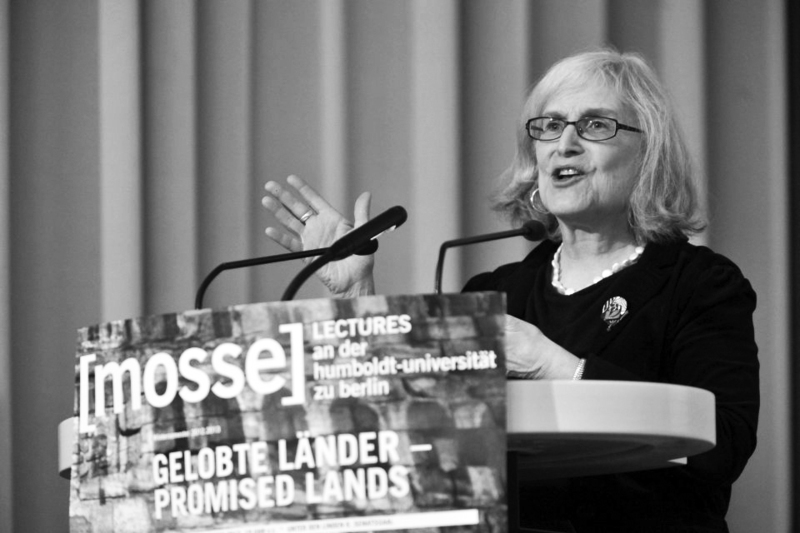 With a sharp focus on a period when both groups functioned as outcasts in an unfamiliar land, the lecture will examine the rich historical impact of the occasionally negative collision between two incredibly diverse cultures. While thoughtfully scheduled to be presented on St. Brigid’s Day from 7-9 pm, Diner’s talk serves as an introduction to the 25th-anniversary celebration of the Glucksman Ireland House and kicks off the spring programming which is set to focus on Irish-Jewish connections. Tickets are free for students and members of the institution. In this presentation, Ambassador Mulhall will be lecturing on Douglas Hyde’s treatise “The Necessity for De-Anglicising Ireland.” Written at the cusp of the 19th century, the document played an essential part in the journey toward Irish independence, establishing the feelings of many nationalists in print. Eventually, Hyde’s arguments would come to influence the generation of Irishmen that participated in the rebellion of 1916. 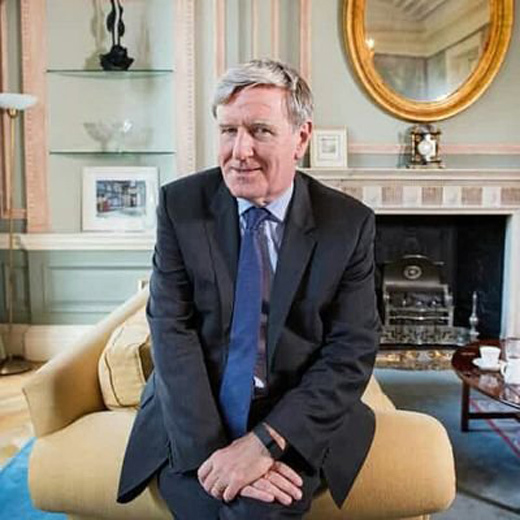 Ambassador Mulhall’s discussion will examine both Hyde’s work and his impact as a person on the tumultuous events of the early twentieth century in Ireland. The presentation will be held both in English and in Irish, with free seats available by reservation. Greg Delanty is a highly-regarded author and editor, who has received multiple awards for his poetry. 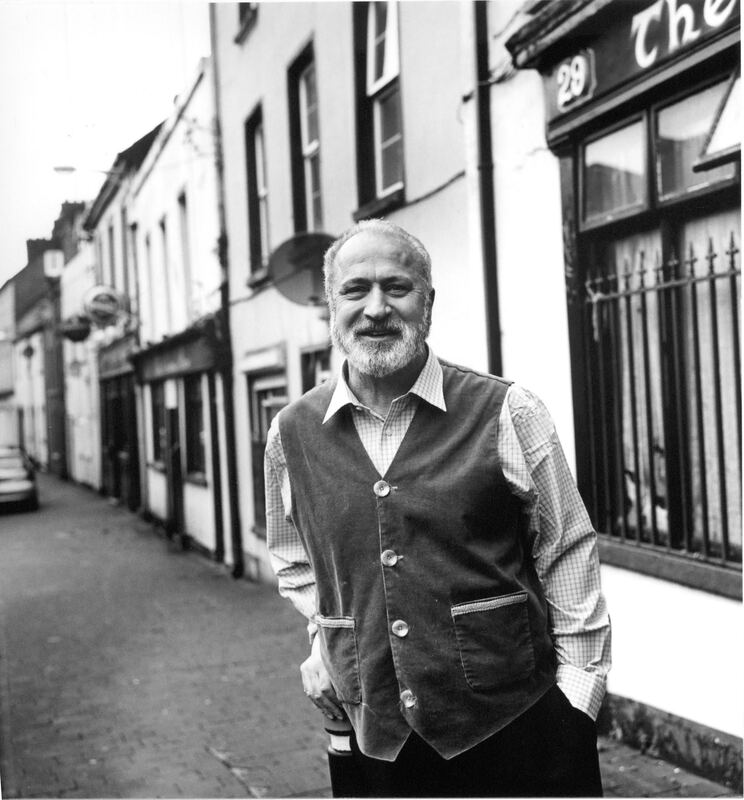 He has been the recipient of such prestigious honors as the Guggenheim Fellowship for Poetry and an Irish Arts Council Bursary. 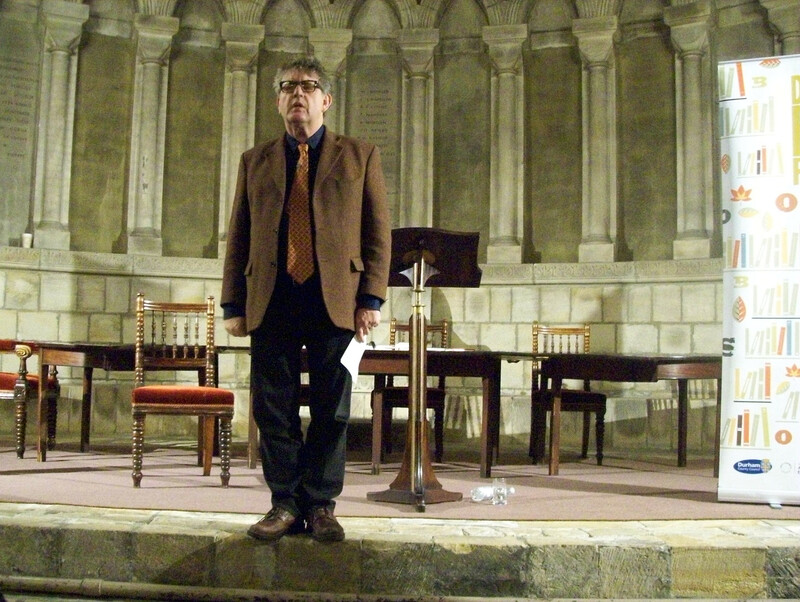 Delanty has served as president of the Association of Literary Scholars, Critics, and Writers, and currently serves as the Poet in Residence at St. Michael’s in Burlington, Vermont. Delanty is known for the energetic spirit conveyed through his verse and the interesting combinatory nature of his language. The reading from his new collection of select poems is being held at 6:30 pm, with free admission for members of the society, and a $5 charge for non-members. This production, bright and bold in every way, is making its American debut for a short time next month. The uniquely-Irish work of theatre promises song, dance, humor and even magic. The cabaret-like work of theatre won Best Production at the Dublin Fringe Festival and proved to be a record-breaking hit in Ireland, referred to as simply “sensational” by the Irish Times. Seat prices range from $50-$60 ($15 for NYU students). With only three show times in New York (each at 7:30 pm) this celebratory, circus-like performance proclaims enjoyment for all who dare to take it in. Celebrating it’s 25th anniversary, New York University’s Glucksman Ireland House hosts its annual gala dinner this February, honoring Pulitzer Prize-winning poet Paul Muldoon and entrepreneur Carl Shanahan, who will receive the Lewis L. Glucksman Award for Leadership. Founded in 1993 as NYU’s center for Irish studies by Lewis L. (Lew) and Loretta Brennan Glucksman, Glucksman Ireland House has become one of the country’s premier institutions for Irish academia, literature, music, and thought and the gala will raise money to help support another year of programming. For more information or to purchase tickets, click here, or contact Glucksman Ireland House NYU at 212-998-3950 or ireland.gala@nyu.edu. For those who missed this excellent production in 2017, another chance is coming up in February to celebrate and witness the remarkable influence of the Sisters of Charity on their 200th anniversary in New York City. “These remarkable women hold a distinguished place in our city’s history and they will continue to play a critical role, now and in the years to come,” producer Turlough McConnell told Irish America. The performance is directed by Origin Theatre Company founder and creative director George Heslin and features songs and music by noted Irish traditional musician Mick Moloney and The Green Fields of America.